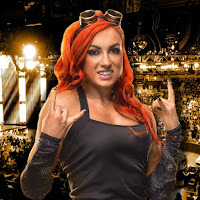 - This week's WWE SmackDown saw Becky Lynch dress as a fan and attack SmackDown Women's Champion Charlotte Flair following her non-title win over Sonya Deville. WWE posted this fan footage of the attack. See footage from the crowd of a disguised Irish Lass-Kicker attacking the SmackDown Women’s Champion. - Below is a promo for this week's Mae Young Classic episode on the WWE Network, featuring the following first round matches: Ashley Rayne vs. Mercedes Martinez, Zeuxis vs. Aerial Monroe, Priscilla Kelly vs. Deonna Purrazzo, Kacy Catanzaro vs. Reina Gonzalez.